Spring is in the air and the forecast of a couple of days of 19 degrees gave me the idea of firing up the pizza oven. So yesterday I made a batch of no knead dough to ferment overnight. I wanted to try out some smoked mozzarella from Damona that I’d bought with pizza in mind. 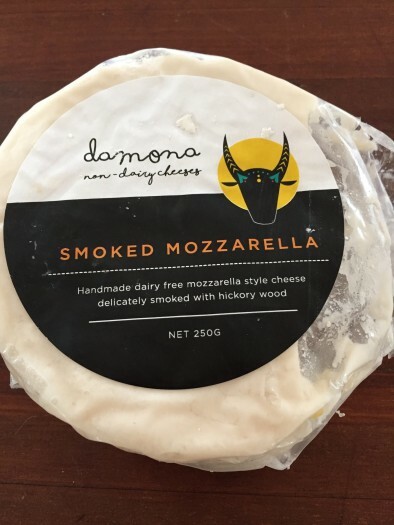 I’d tried the Damona cheeses when they first arrived but the one I had was coconut flavoured so I was unimpressed and never tried them again. They seem to have fixed that. The smoked mozzarella is really good, lightly smoked and it melts well. I made a simple pizza with olive oil, garlic, fresh tomatoes, the smoked mozzarella and lots of chopped fresh parsley from the garden where it is currently running rampant.